The foundations of Ashkenazic Jewry in Western Europe, and later Eastern Europe, are really essentially the story of one family: the family of Rashi, an acronym for the name Rabbi Solomon ben Isaac (Rabbi Shlomo Yitzchaki). Many scholarly and more popular books, articles, treatises and biographies have been written about this giant of the ages. Yet to a great extent he remains elusive, almost mysterious in his role as the teacher of Israel. Still, if there is anyone in Jewish life that has achieved immortality, it is Rashi. No Jew who studies the Torah or the Talmud does so without Rashi. Rashi is the guiding hand, the gentle teacher, the unobtrusive commentator who simplifies, explains and inspires all who study Torah. Tradition holds that he was a scion of the royal family of King David. He was born in 1040 in the city of Troyes, which is about 25 miles from Paris in the wine-growing, northern part of France. Indeed, Rashi was a vintner; he was involved in the growing of grapes and the manufacture and sale of wine. Even a cursory review of his commentaries will reveal his immense knowledge and intellectual curiosity regarding not only Talmudic traditions, but all fields of human life and nature, including agriculture, animal husbandry, tool making, commercial law and transactions, anatomy, astronomy, botany, rudimentary medicine and mathematics. The establishment of the Jewish community in France and Germany in the 11th century is nothing short of miraculous. 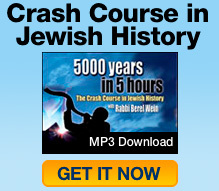 There probably were only 5-10,000 Ashkenazic Jews in the world at that time. (The majority of Jews lived in Spain, North Africa, Babylon and the land of Israel.) France, which was the leading country of Christian Europe, was itself beset by many internal dissentions, mini-civil wars and the inability to form a strong and lasting government. Due to the lack of a strong central government, the Jews were always subject to the whims of the local warlords. Into this fanatical, intolerant and hostile Christian environment Rashi grew up. Despite of all of these obstacles, Rashi became Rashi and the Jewish community in France built the foundation of all future Ashkenazic Jewry. Legends need not be true to characterize a person. Even if they are not literally true in all their details they paint a picture of the person and the times. Among the legends about Rashi three stand out. In truth, Rashi is a person of such commanding stature – what he accomplished is so beyond human belief – that it is difficult to speak of him any objective or historical terms. Therefore, these legends are as good as any place to begin to get the picture of who he was. The first legend has to do with his mother. While she was pregnant with Rashi she visited the city of Worms. One day she was walking down a narrow alleyway when a French knight on a horse galloped through the street. He was about to ride over her when she flattened herself against the stone wall. Inexplicably, a niche opened in the wall and she was saved. The second legend addresses the question: What merit did the parents of Rashi have to give birth to such a child? Rashi’s father was a dealer in precious stones, which was an unusual profession for a Jew at that time. He had in his possession a particular stone that was well-known in the community of Troyes. One day the church nobleman told him that they wanted to purchase the stone and put it in a crown or crucifix that would be used in the church services. Rather than declining their offer, he denied having it. When they came to search his home they could not find it… for he had thrown it away in the river. That act of monetary sacrifice was the merit that earned him a child like Rashi. The third legend has several versions. One has to do with Godfrey of Boullion, the leader of the French knights in the First Crusade. He stopped in Troyes on the way to the Holy Land and asked Rashi if he would be successful. Rashi told him that initially he would capture Jerusalem from the Muslims, but after a period of time the Christians would be driven from Jerusalem and he would return to France with only three horses. Godfrey told him that if he came back with even four horses he would personally destroy the Jewish community and kill Rashi. The Crusade went just as Rashi predicted, but Godfrey remembered the prediction and made sure that, if nothing else, he returned with four horses. And indeed he did. However, as he crossed under the arch of the city the keystone of the arch collapsed and one of the horses was killed. These legends emphasize the supernatural and paint Rashi as a miracle worker. However, the greatest miracle was Rashi’s accomplishments. That is the first thing that needs to be understood. There is no legend greater than Rashi himself. The legends surrounding him are rooted in the genuine admiration the man and his monumental accomplishments. When Rashi was a young man he left Troyes and traveled to Worms (that is why today there is a famous Rashi chapel in Worms) to attend the great yeshiva headed by Rabbi Yaakov ben Yakar, a disciple of the great Rabbenu Gershom, founder of Ashkenazic Jewry. After the death of Rabbi Yaakov ben Yakov, Rashi studied under a great scholar who was a student of the great Babylonian scholar, Rabbenu Hai Gaon. In short, Rashi inherited the traditions of the two great streams of Torah knowledge: Ashkenazic and Babylonian Jewry. When Rabbi Yaakov died in 1064, Rashi continued learning in Worms for another year and then moved to Mainz. By the time Rashi entered the yeshiva in Mainz, it had existed for 65 years. Over those years, a general notebook had been composed – the work of three generations of students, called the Kuntres Mainz (“Notebook” of Mainz). But whereas many of the other students adopted the notebook whole, Rashi sought to improve it. From his youth until his last day, he kept rewriting, erasing, and adding words to it. That perfectionism is the hallmark of his supreme intellectual honesty. While yet in the academy in Worms-Mainz, Rashi married. He had two daughters, Miriam and Yocheved. There is legend that Rashi had a third daughter, Rachel. However, most current scholars discount the possibility of Rashi having a third daughter. Rashi treated his daughters as sons in some ways. He taught them Torah in an age when most women were completely and functionally illiterate. His daughters helped Rashi in his transcription and editing of his commentaries and even offered independent opinions of their own on Torah and halachic matters. Rashi was especially close to his grandsons, and his oldest grandson, Rabbi Shmuel ben Meir (“Rashbam”), completed Rashi’s third edition commentary to some of the tractates of the Talmud after the death of his grandfather. Rashi’s youngest grandson, Rabbi Yaakov ben Meir (Rabbenu Tam) was yet a child when Rashi died, but Rashi had a profound influence on him. Rabbi Yaakov was an exacting critic of Rashi in many areas of commentary — and at the same time he was his staunchest defender against the criticism of outsiders. If not for Rashi, the Talmud would be virtually a sealed book. It has not punctuation and is written in a sixth century Aramaic dialect. Due to its difficulty, the Talmud was not a book of the masses. The man who opened it to a much wider audience was Rashi. Rashi occupies a unique place in the Jewish world, on par with Moses. Rashi is every Jew’s kindergarten teacher. When little children learn his commentary on the Bible for the first time, it makes perfect sense to them. So as a Jew grows older and hopefully wiser, he realizes that Rashi was not only his kindergarten teacher, but he signed our PhD. Rashi’s love of people shines through every word. There is not one denigrating word in his entire commentary, which is an extraordinary accomplishment. He never criticizes others even when he disagrees with their explanations and decisions. Perhaps Rashi’s greatest legacy to later generations is his commentary to the written Torah itself. Rashi made the Bible accessible to everybody – from the smallest child to the greatest scholar. The entire Torah exists in Rashi’s commentary to the Bible, including all the morals, ethics, commandments, explanations and the entire basis for the Talmud and Oral Law. Each person draws out of it what he needs on his level, whether he is kindergarten or has achieved the highest levels of scholarship. Rashi’s commentary is also interspersed with Talmudic legends, which are our bridge to Biblical times. With all due respect to archaeologists and their attempt to open a window to life back then, they may uncover genuine artifacts, but they haven’t got a clue as to what the Jewish people were like. A Jew does not feel a connection to King David by seeing his sword in the Israel Museum. A Jew connects to King David through the stories of the Bible, and those stories come to life through the Talmudic stories cited by Rashi. For 900 years all Jews, from early childhood to mature scholarly maturity, have studied with love, awe and faithfulness the Torah with Rashi’s commentary. The phrases in that commentary have entered the everyday language and speech of Jews everywhere. His words and insights remain as fresh and vital and relevant today as they were on the day that they were written. In 1096, toward the end of his life, Rashi witnessed the horrors and massacres of the First Crusade. His mentors and colleagues in Speyers, Worms and Mainz were slaughtered and the great yeshiva of Rabbenu Gershom disappeared. Yet he writes as though he’s sitting in the middle of paradise without a worry in the world except the simple meaning of the text. Through the efforts of the local bishop, whom Rashi knew and befriended, the Jewish community of Troyes was spared the ravages of that Crusade. However, he mourned the fate of French Jewry, correctly sensing that within two centuries it would cease to exist because of continuing pogroms and eventual expulsions. At his death in 1105, the Jewish community in France would begin to decline, though his descendants and students would yet continue his monumental teachings of Torah in France well into the thirteenth century.